Here’s a short visual presentation of the good news of Jesus that you might find helpful. Just click on the graphic to go to the Two Ways to Live front page. 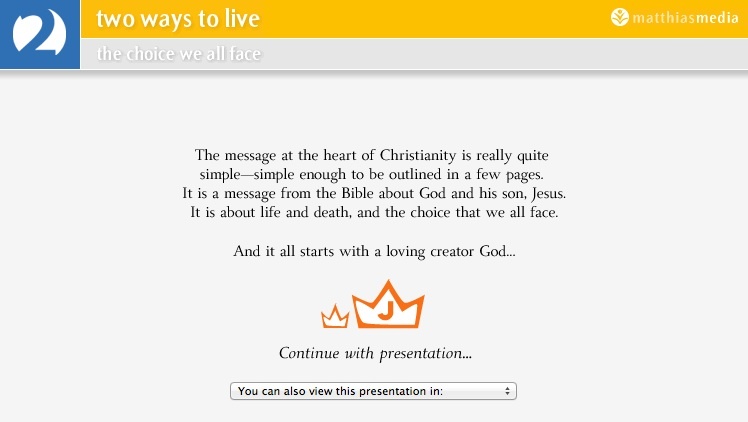 Then click on the crown in the centre of the screen to get going. Alternatively, go to the menu bar below the crown to find the same presentation in other languages.